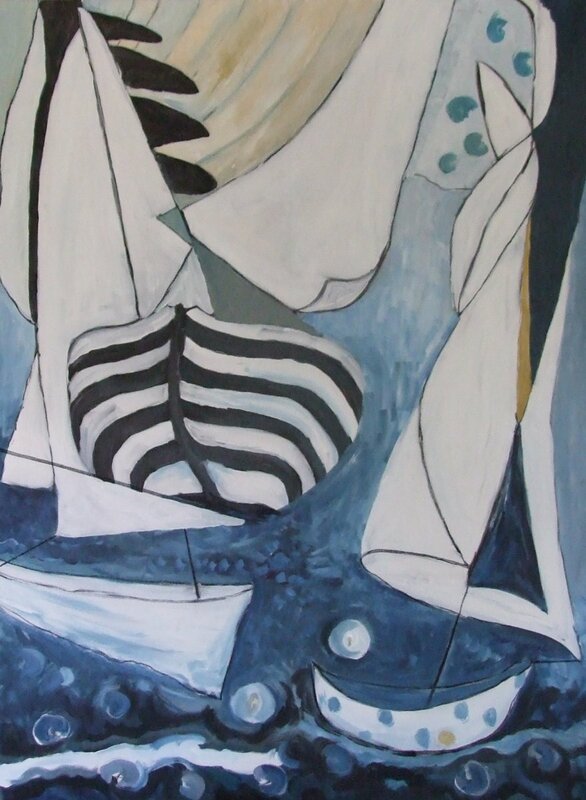 Sailing the coast of Maine, Sails II is a large abstract that reminisces about sails caught in the wind and the hulls of ships at sea. Sails II enjoys the play of wind and water in the great big ocean. I am convinced that ship making and sailing are in my Galway, Irland-Kennedy DNA.